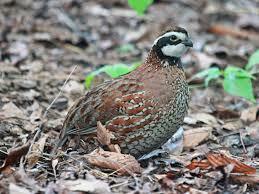 Quail season opens statewide October 25 and runs through February 22, 2015. The daily bag limit for bobwhite, scaled (blue) and Gambel’s quail is 15, and the possession limit is 45. The bag limit is the maximum number that may be killed during the legal shooting hours in one day. Legal shooting hours for all non-migratory game birds are 30 minutes before sunrise to 30 minutes after sunset. Timely rainfall has helped bolster quail populations and should improve hunting opportunities over last year, according to the most recent quail forecast. Excellent hunting opportunities are expected in South Texas while quail populations in the Rolling Plains will remain below average but moving in the right direction, according to Robert Perez, TPWD Upland Game Bird Leader. Although much of the state remains in drought, the degree is far less than the past few years and daily temperatures remained below average for most of the summer. Additional winter rains are needed to provide greens and aid continued population recovery into next spring and summer. Part of a successful season includes a quick check of hunting regulations. The 2014-2015 Outdoor Annual provides a summary of all hunting and fishing regulations. Get a printed copy at your nearest license retailer, read it online at www.txoutdoorannual.com, or download the new mobile app free for your iOs (Apple) or Android device at www.txoutdoorannual.com/app. In addition to a valid hunting license, an Upland Game Bird Stamp is required to hunt quail. Licenses and endorsements may be purchased at a license retailer near you. They may also be purchased online or by phone (800-895-4248) with a $5 convenience fee required for each transaction. Daily bag limit is 15. Possession limit is 45. Every hunter (including out-of-state hunters) born on or after September 2, 1971 must carry proof of hunter education certification or deferral on their person while hunting. This entry was posted on Sunday, October 26th, 2014 at 1:25 pm	and is filed under News & Updates. You can follow any responses to this entry through the RSS 2.0 feed. Both comments and pings are currently closed.